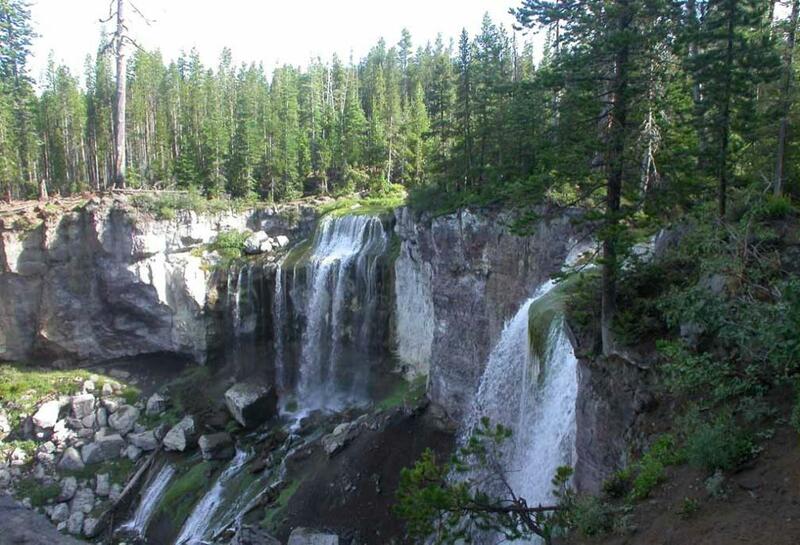 The scenic 80-foot Paulina Creek Falls in Newberry National Volcanic Monument near Bend, Oregon. 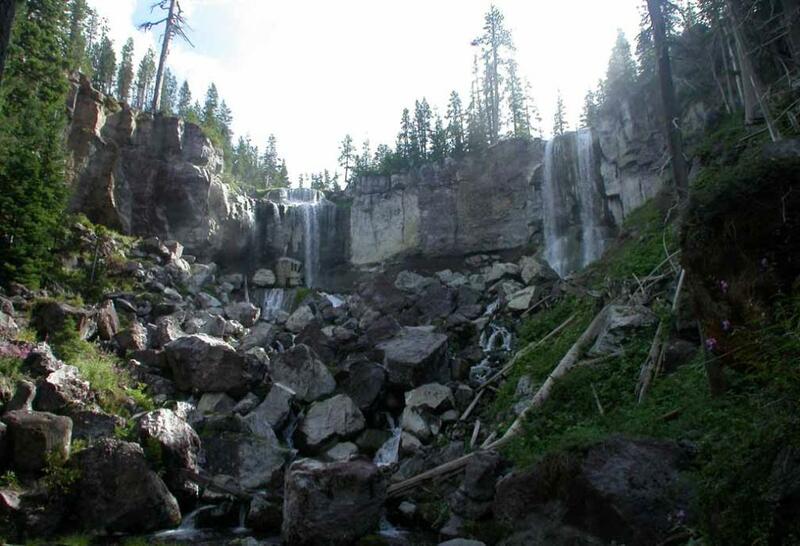 many boulders, which have fallen into the gorge below the falls as shown in this picture. 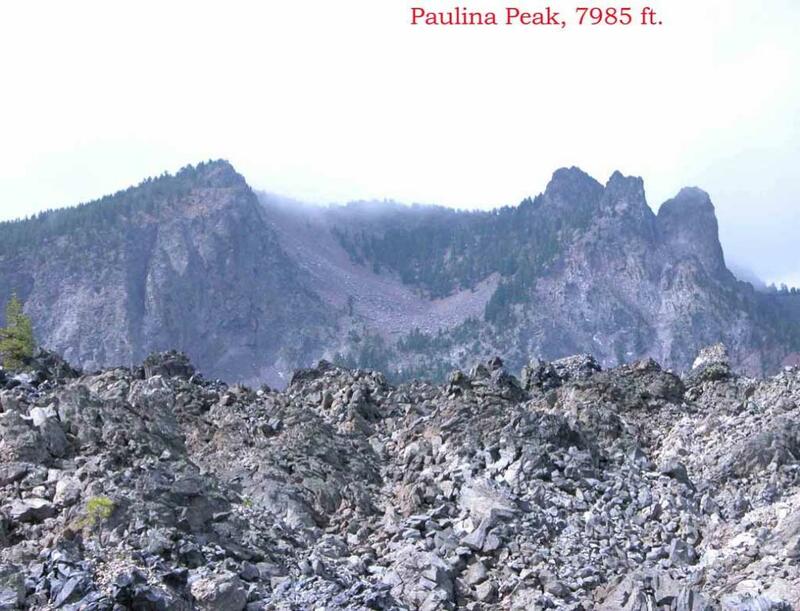 Volcanic Monument were named for Paulina (pronounced Pa-LINE-uh), a well-known Indian chief. terns were flying and fishing over Paulina Lake. 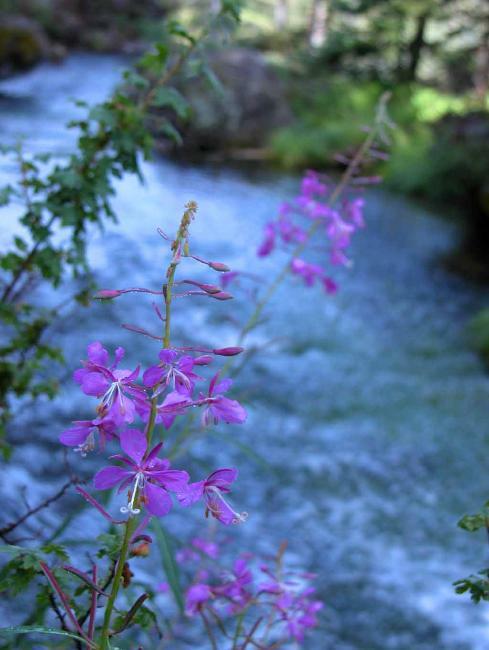 Beautiful flowers along Paulina Creek. 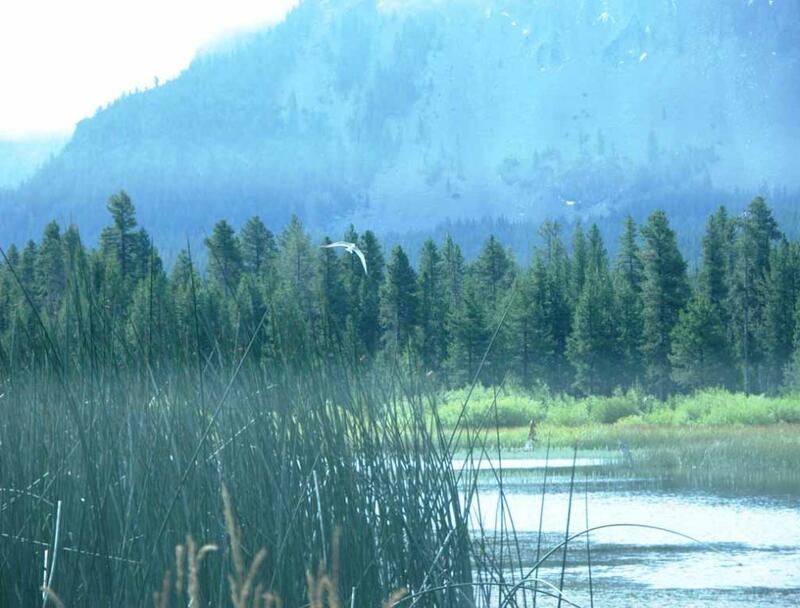 Two of several waterfowl on Paulina Lake in Newberry National Volcanic Monument. This photo is taken by May Lee. 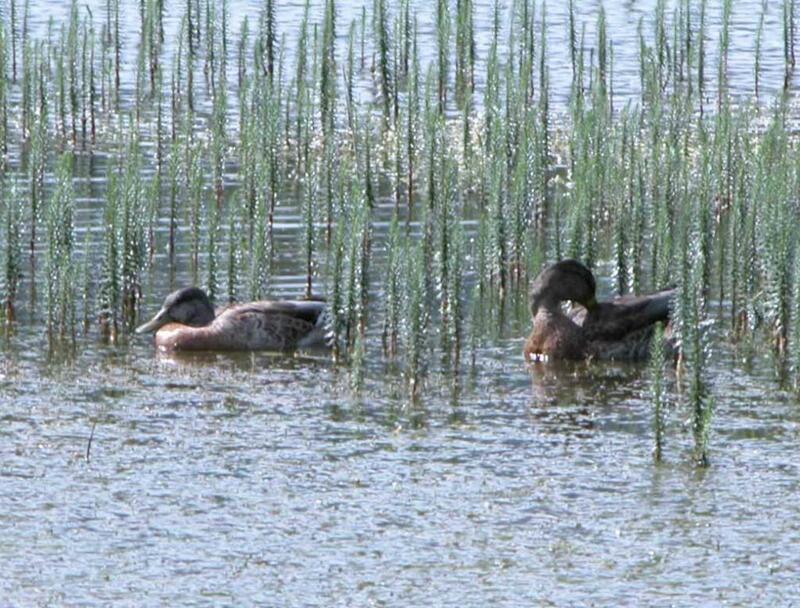 Some waterfowl in East Lake which is adjacent to Paulina Lake in Newberry National Volcanic Monument. 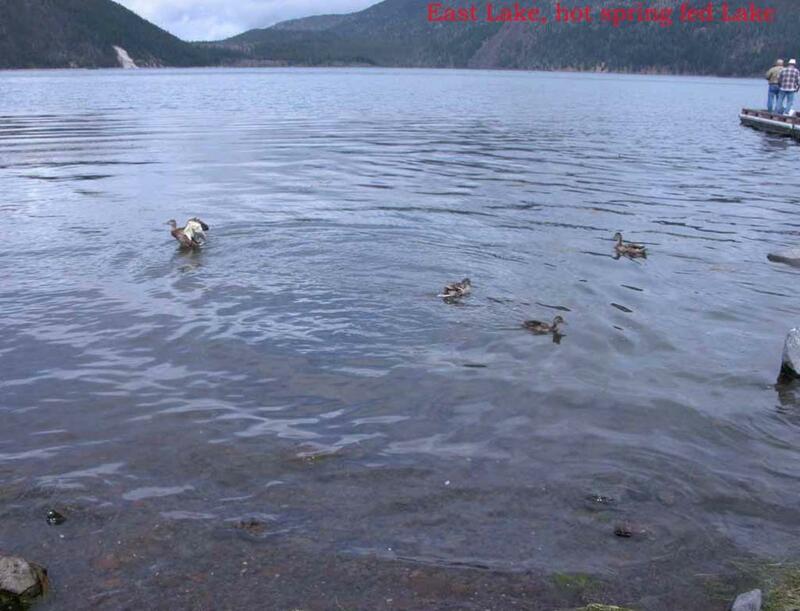 East lake is a hot spring fed lake. This photo is taken by May Lee. 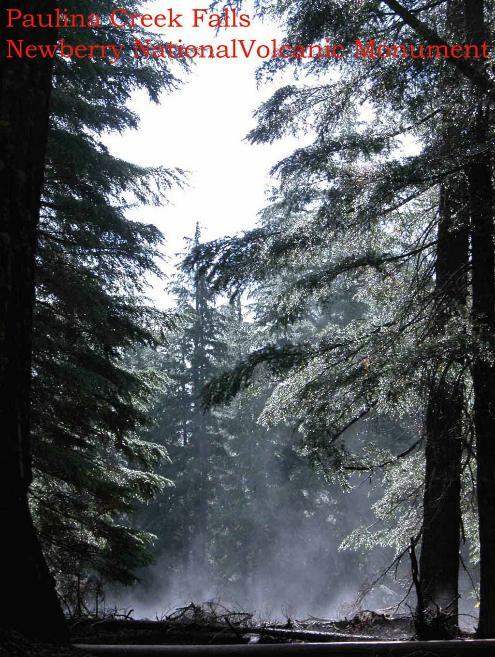 rain, snowmelt, and hot springs for water. Paulina Lake, the larger twin, is the deepest at 250 feet (76 m). the state brown trout record in 1965 with a 35-pound, 8-ounce behemoth. 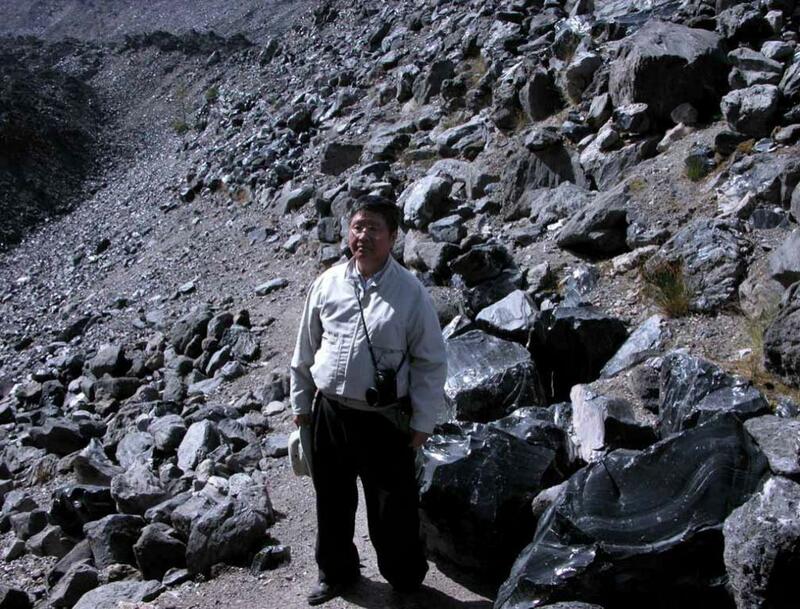 A picture of me (Sing Lin) at the Big Obsidian Flow in Newberry National Volcanic Monument. 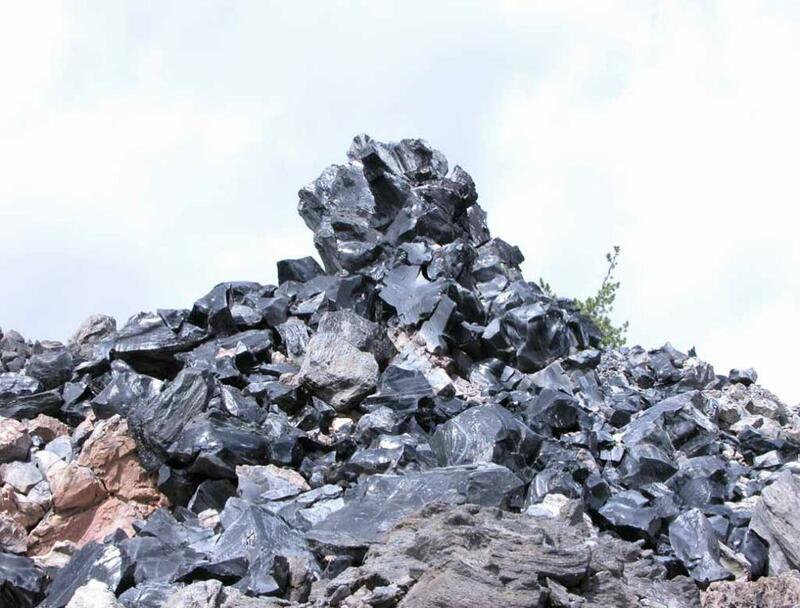 magnetites crystals (iron oxide) give obsidian a black tint. 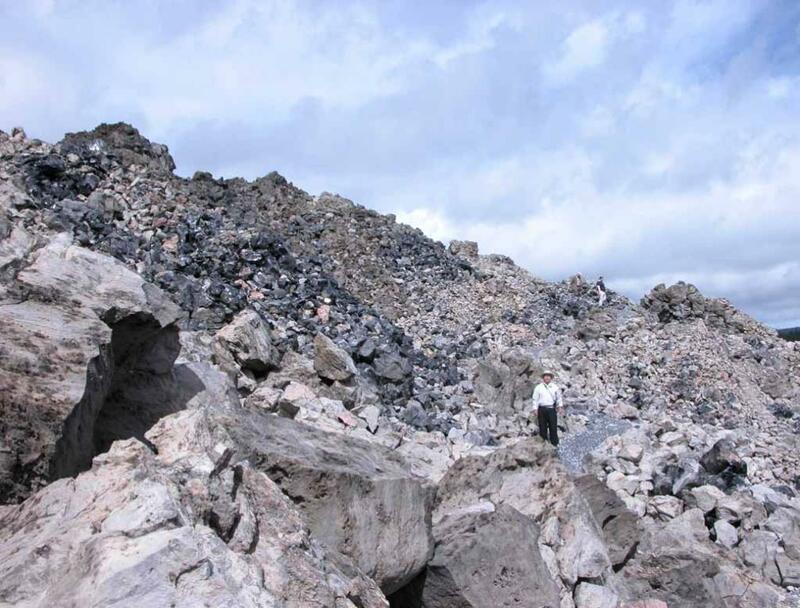 obsidian tools around the west. this very special lava flow. 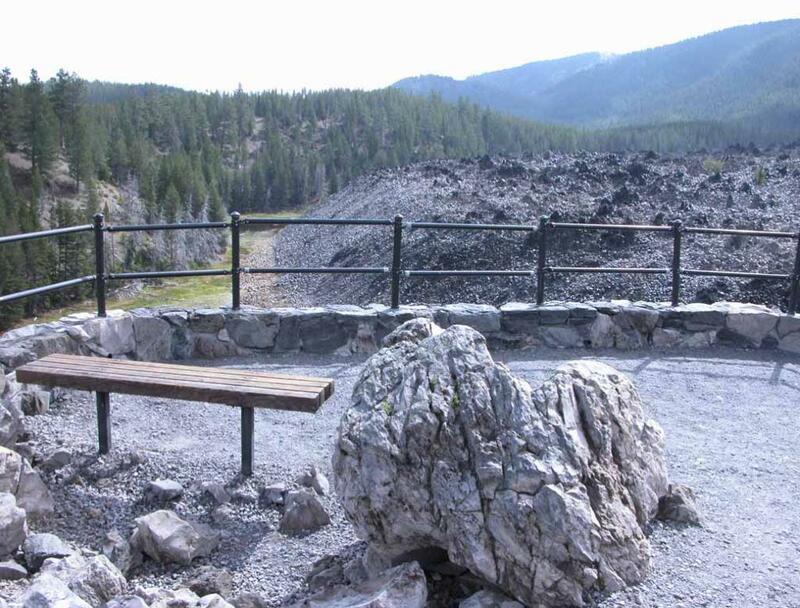 the immense size of the Big Obsidian Flow. This picture is taken by May Lee. 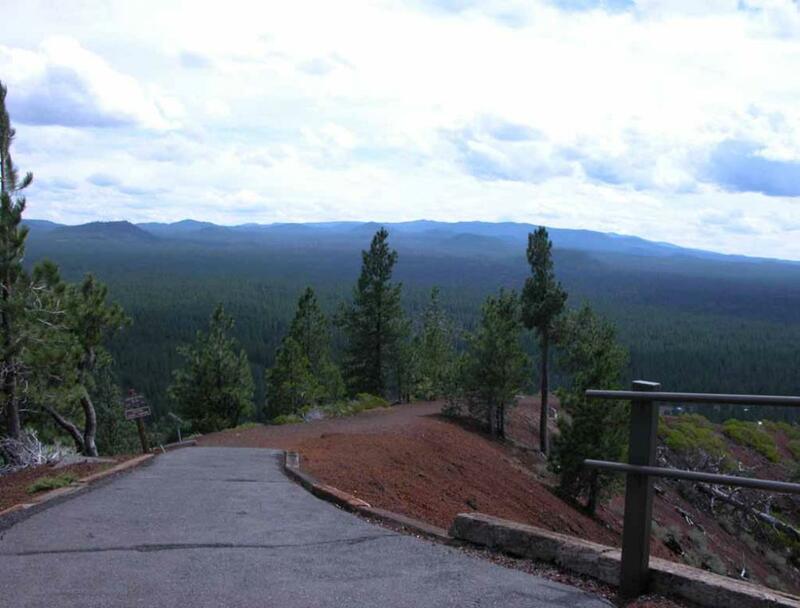 The Upper Overlook on the Big Obsidian Flow offers a panoramic view of the rim of the Newberry caldera. obsidian. Closed toe shoes are recommended for hiking on such trail. 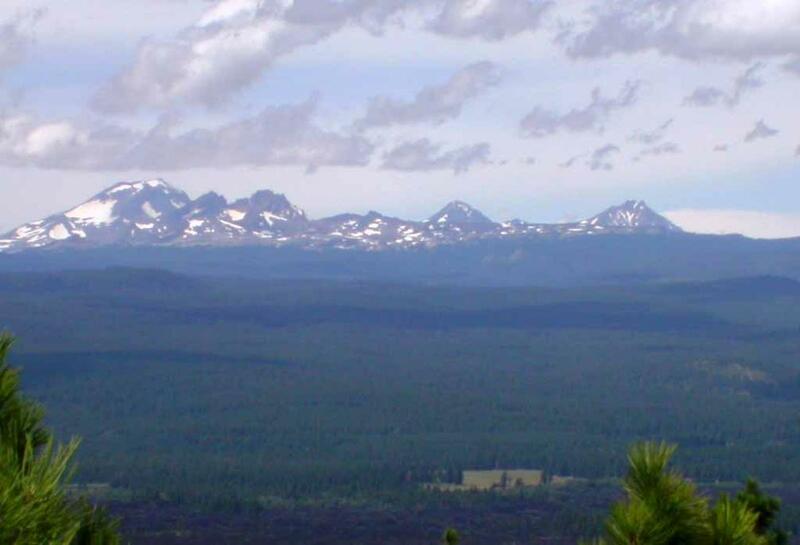 Paulina Peak at peak elevation of 7985 feet as viewed from the Big Obsidian Flow. 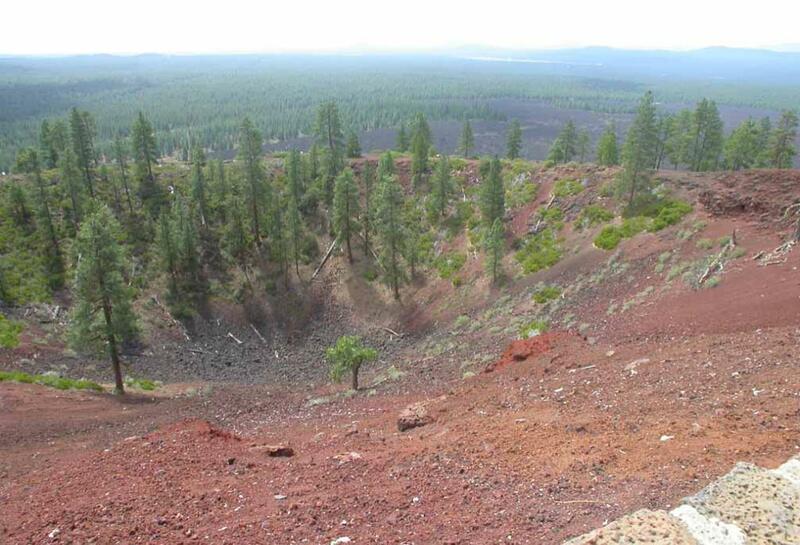 cones, Lava buttes and perhaps as many peripheral lava flows covering 500 square miles. 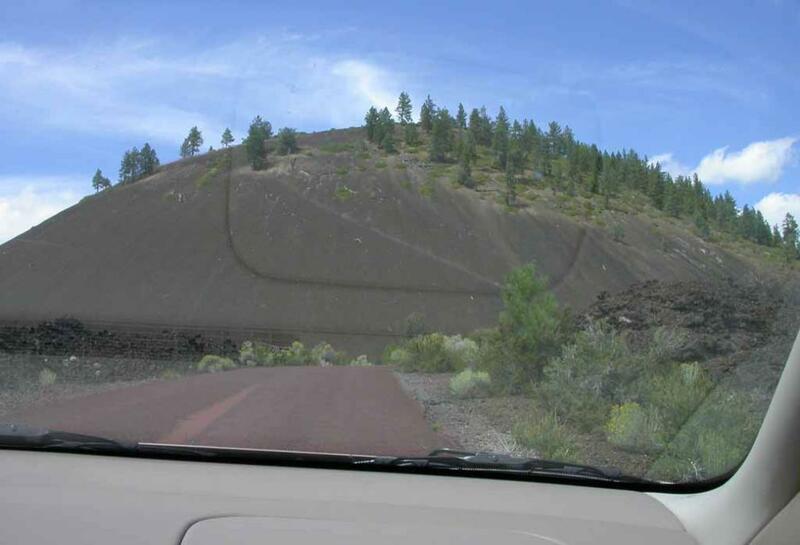 Visitors can drive up the Lava Butte to see the crater on top and to enjoy the fantastic scenery. parking lot, and other volcanic mountain peaks at distance. 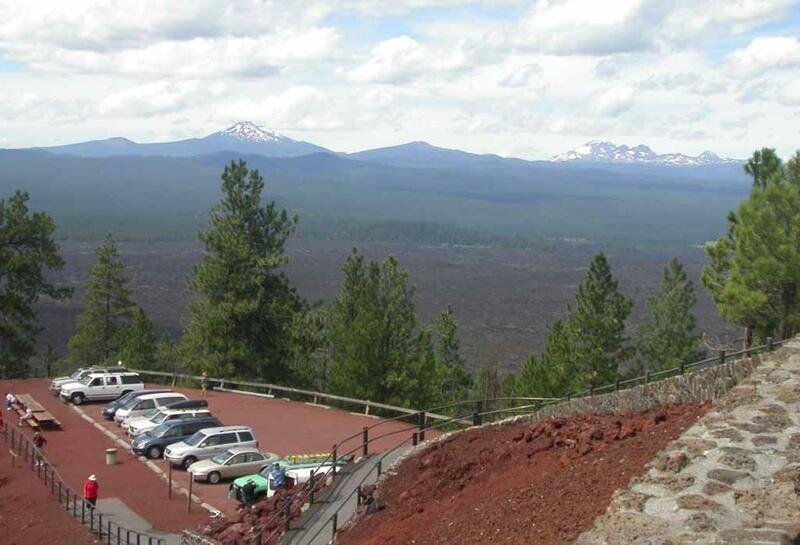 The 360-degree panoramic view from the top of Lave Butte in this national monument is outstanding. 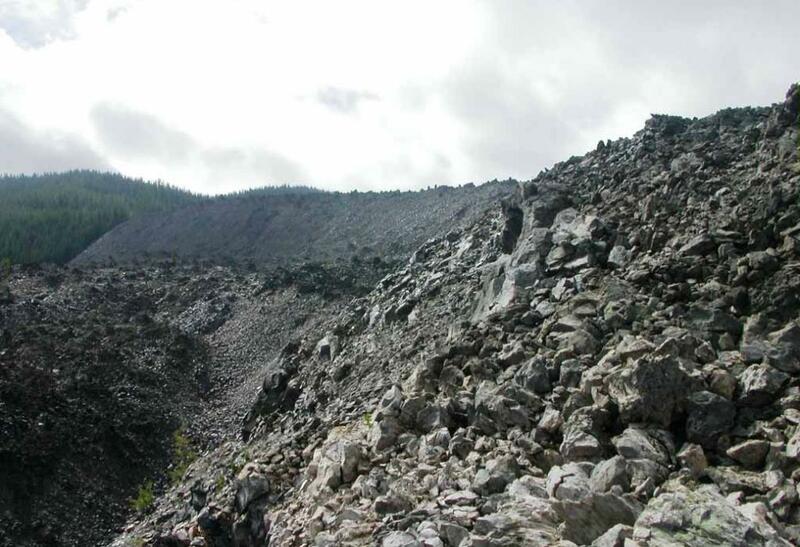 The hiking trail from the parking lot going up to the top of the Lava Butte. 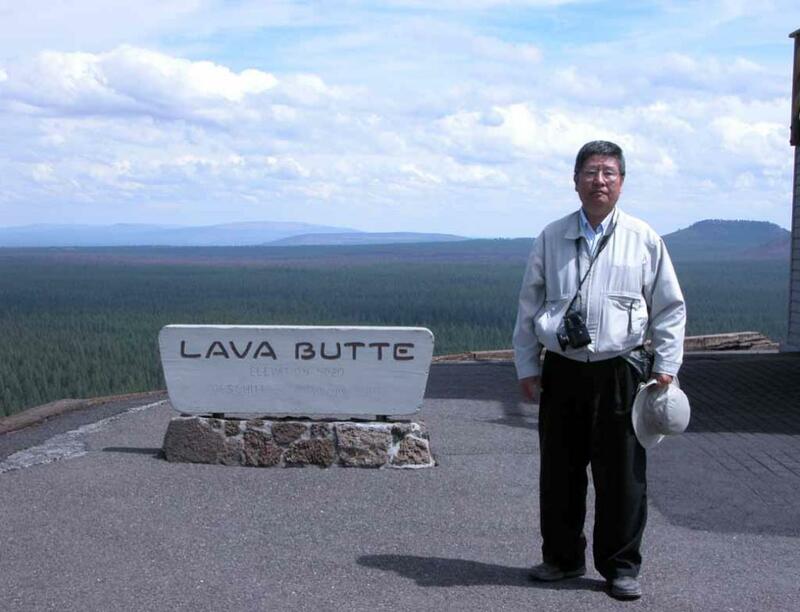 A picture of me (Sing Lin) on Lava Butte. This picture is taken by May Lee. Highway 26 on Burnt Ranch Road. almost like being on another planet. 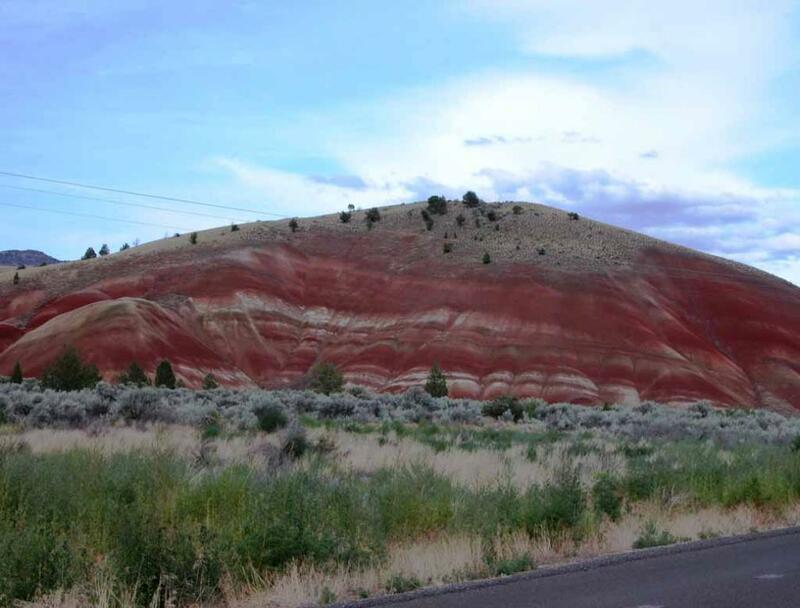 northeast about 75 miles to tour John Day Fossil Beds National Monument in central-east Oregon. 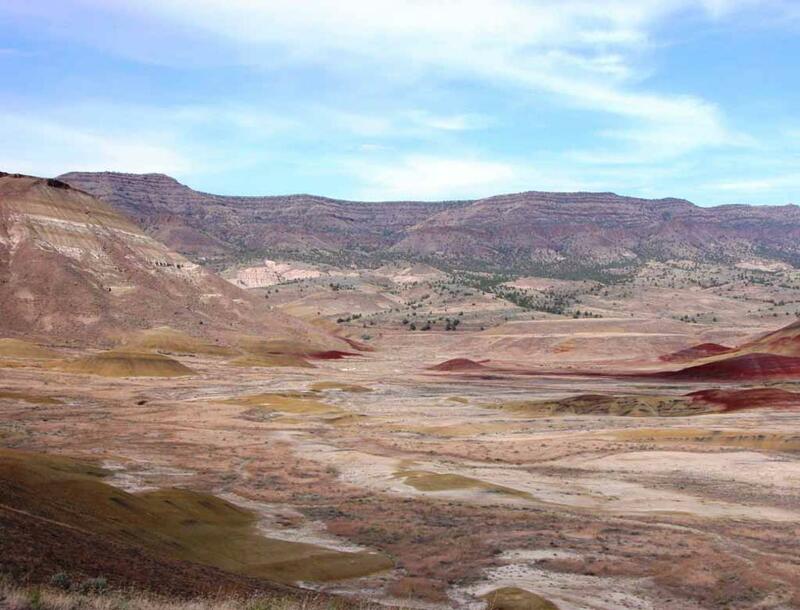 sites will give you a view into the earth’s biography through the plant, animal fossils and rock layers. 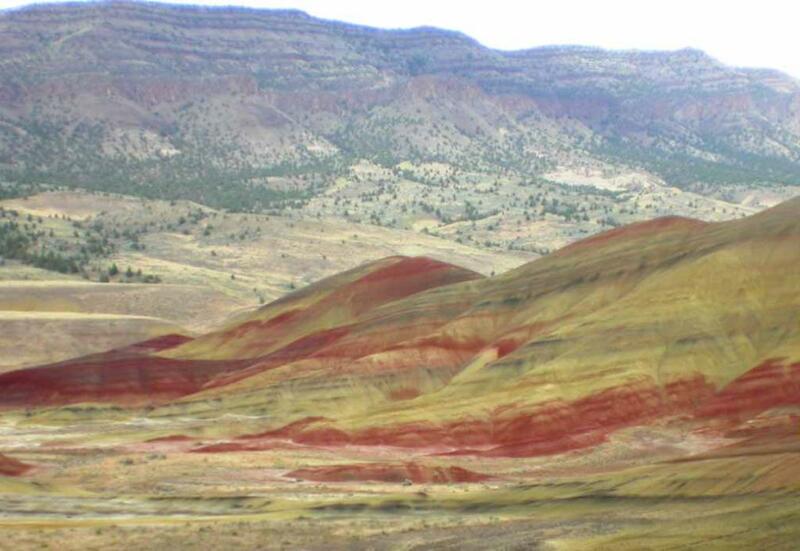 More views of Painted Hills. This photo is taken by May Lee. 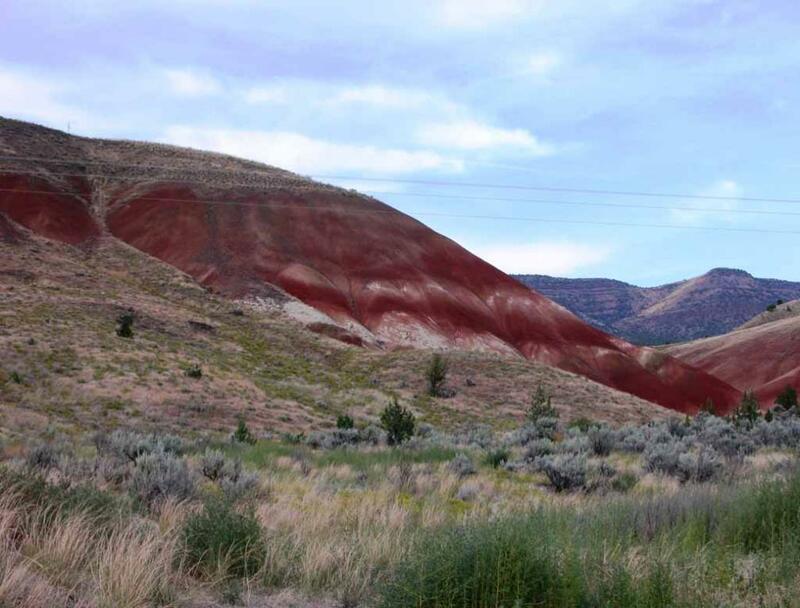 the shapes and colors of the Painted Hills are an incredible sight. 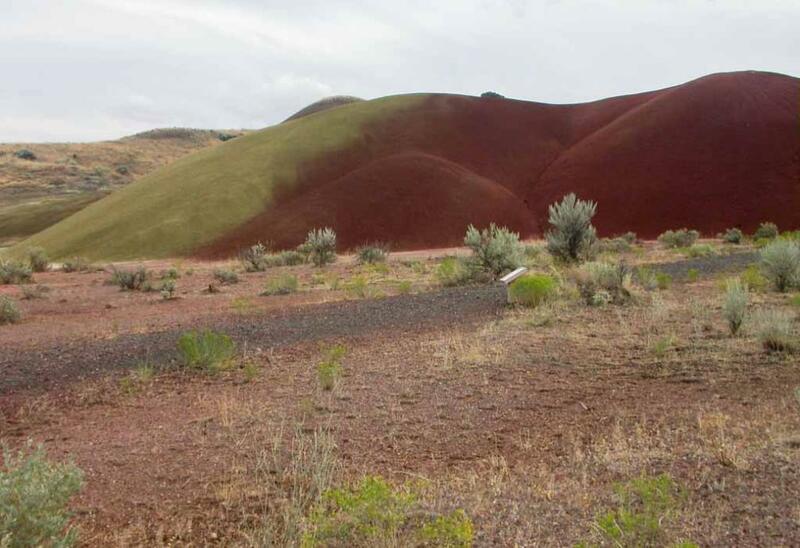 The Painted Hills have a few easy walking trails to explore for views of the hills at different angles. 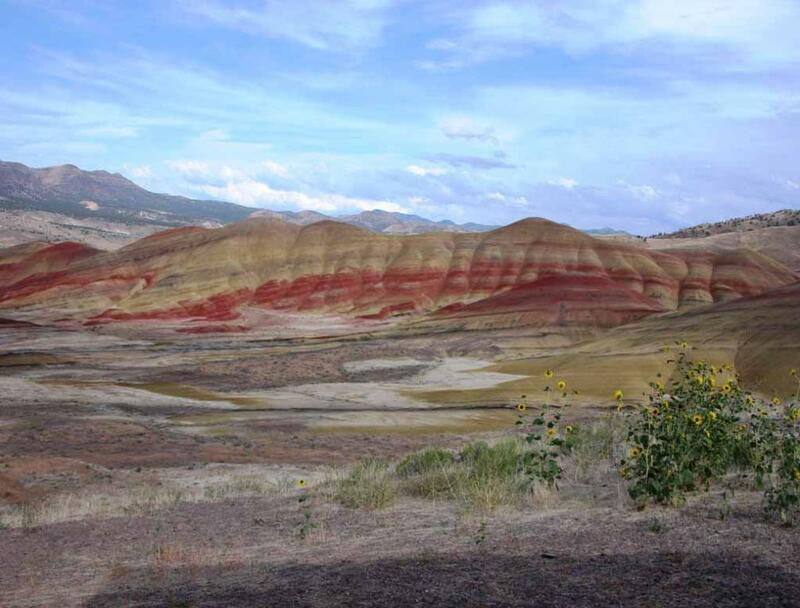 This photo of Painted Hills is taken by May Lee. turtles, opossums, large pigs, rhinoceroses, bears, pronghorn, deer, weasels, raccoons, and sloths. 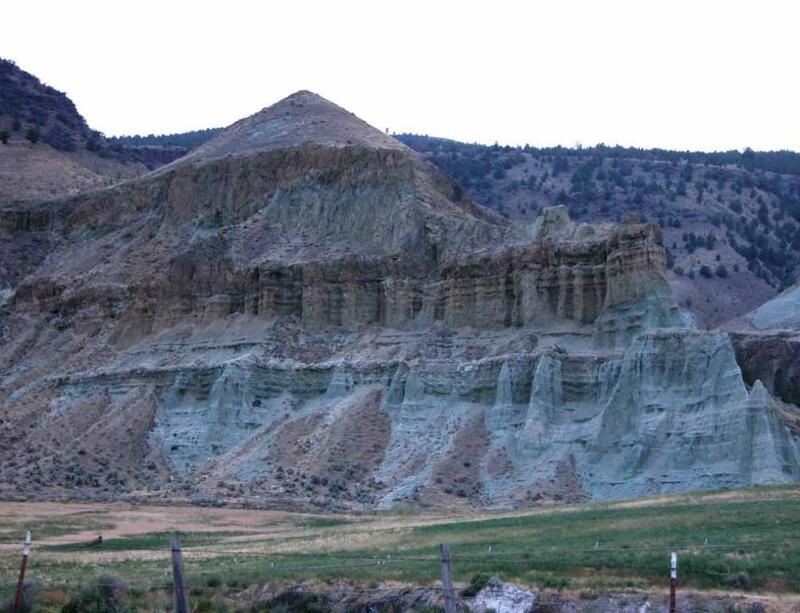 View of Cathedral Rock in Sheep Rock Unit of John Day Fossil Beds National Monument. 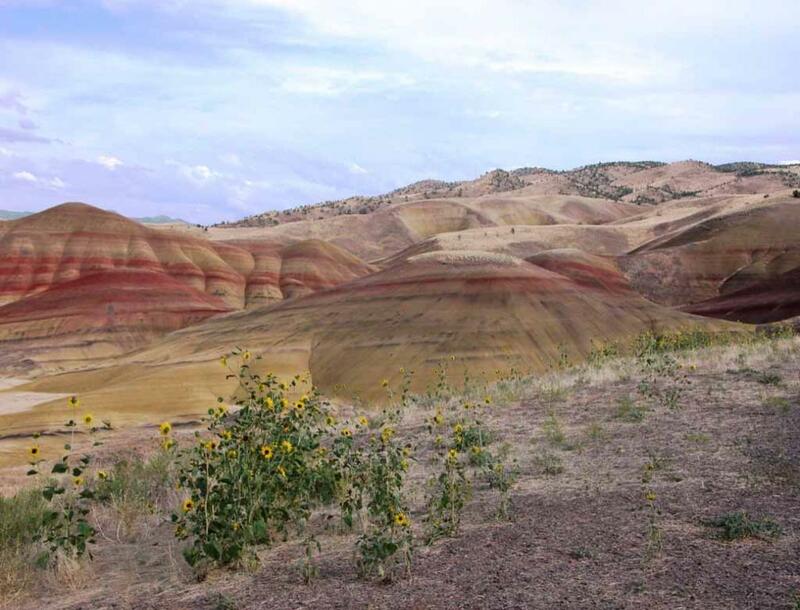 Picture Gorge in Sheep Rock Unit of John Day Fossil Beds National Monument. 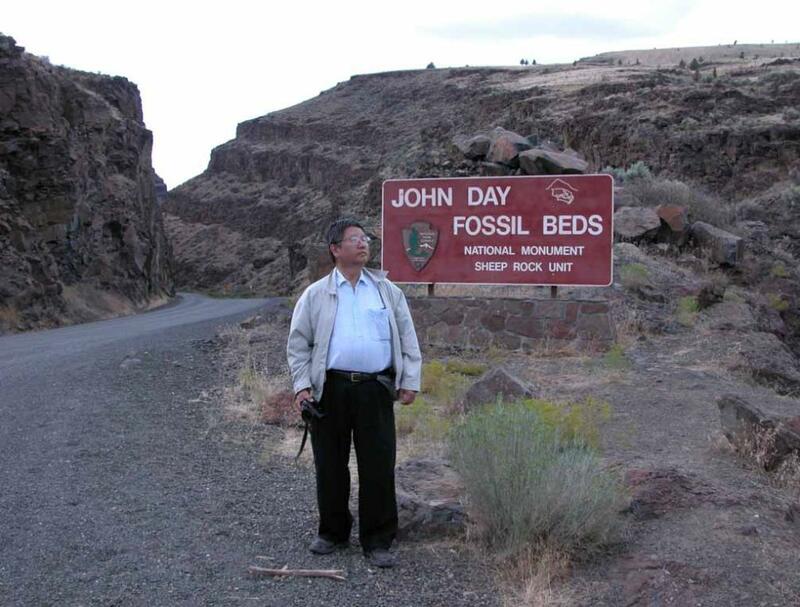 A picture of me (Sing Lin) at Sheep Rock Unit of John Day Fossil Beds National Monument. 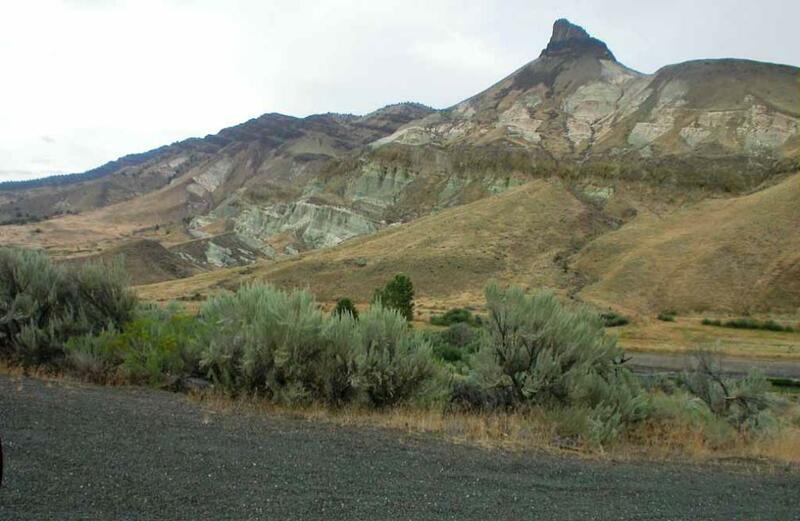 Maps: Click here for several maps for all three units of John Day Fossil Beds National Monument. Palisades, but it was too dark to take pictures. Photos: Click here to see some photos taken by other people of majestic Palisades in Clarno Unit. snow boarding on the high sand dune. 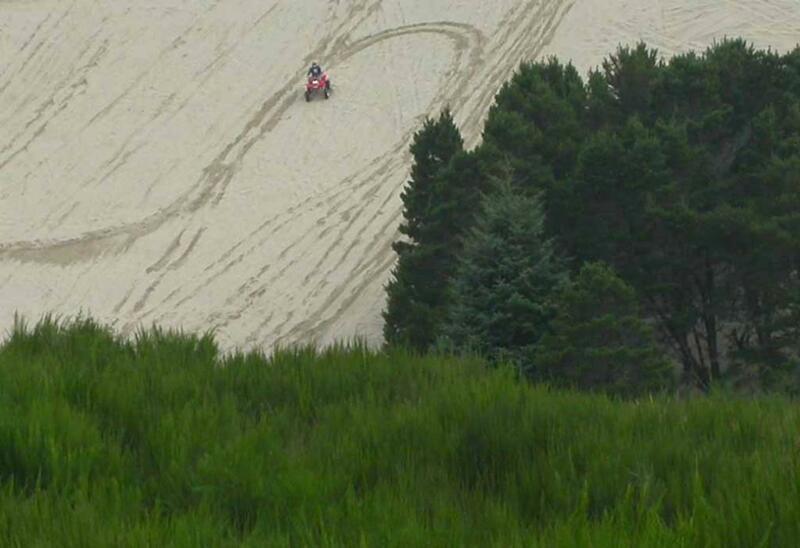 We do not see such high sand dune in the east coast of USA. 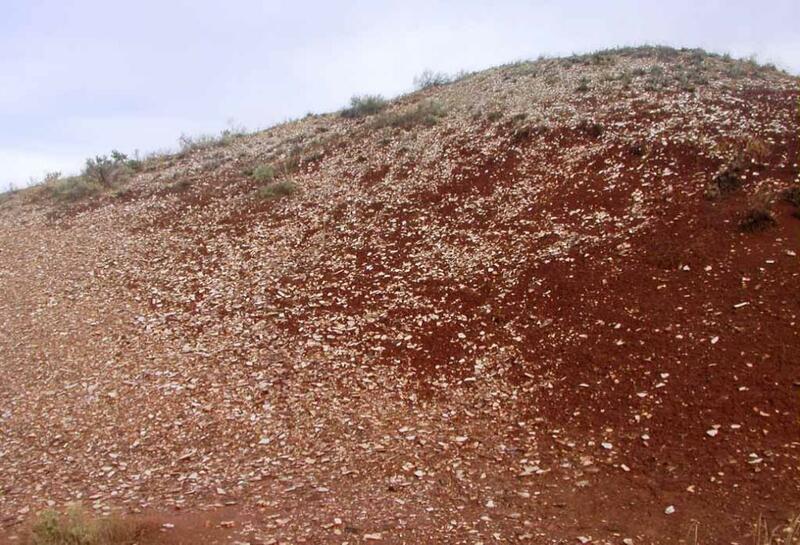 sand from the ocean floor and deposit it on the beaches where the winter wind storms takes over. 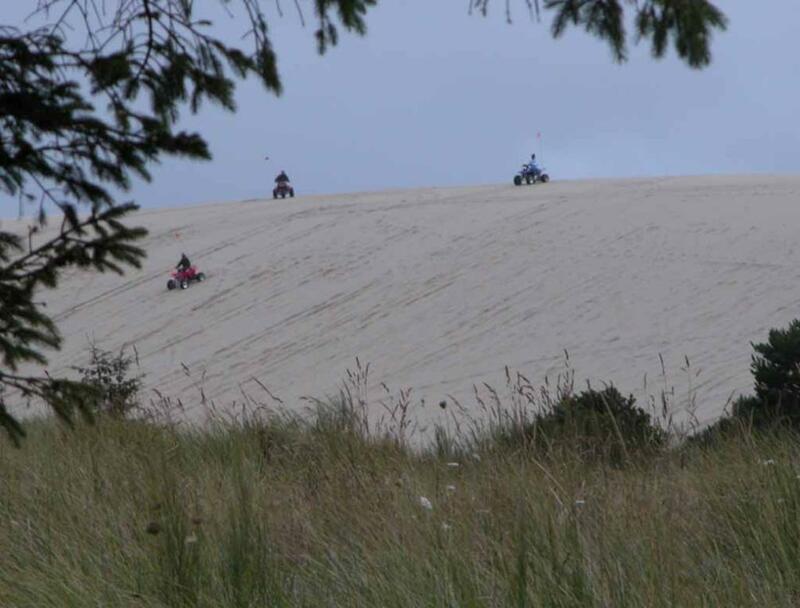 Oregon Dune National Recreation Area is located at 855 U.S. 101 Reedsport, Oregon. 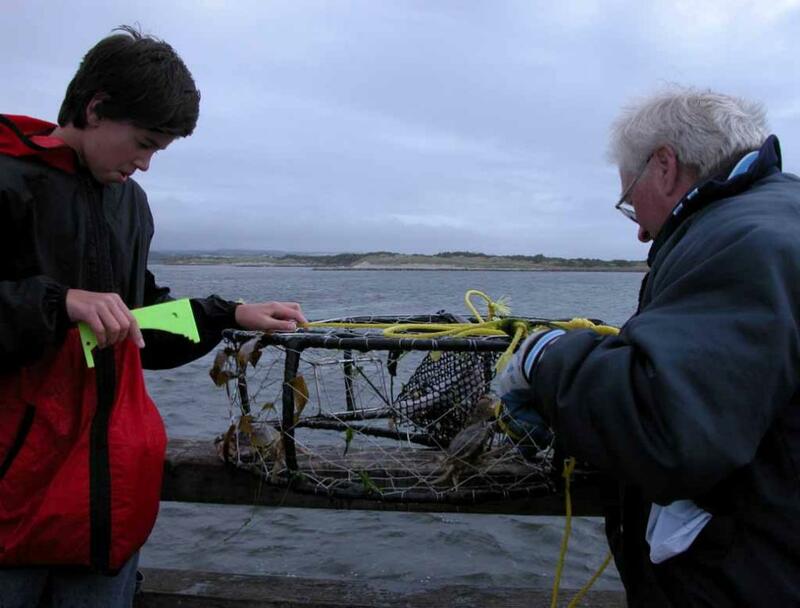 Some people were crabbing at a jetty area of Oregon Dune National Recreational Area. 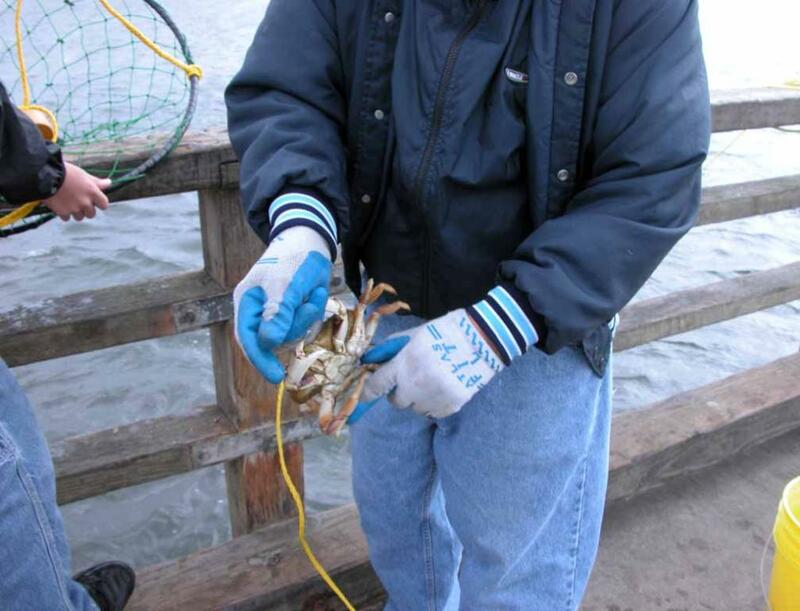 the blue crab that we see in east coast USA. opportunities for visitors. But we did not know and missed this touring opportunity in this 2004 trip. 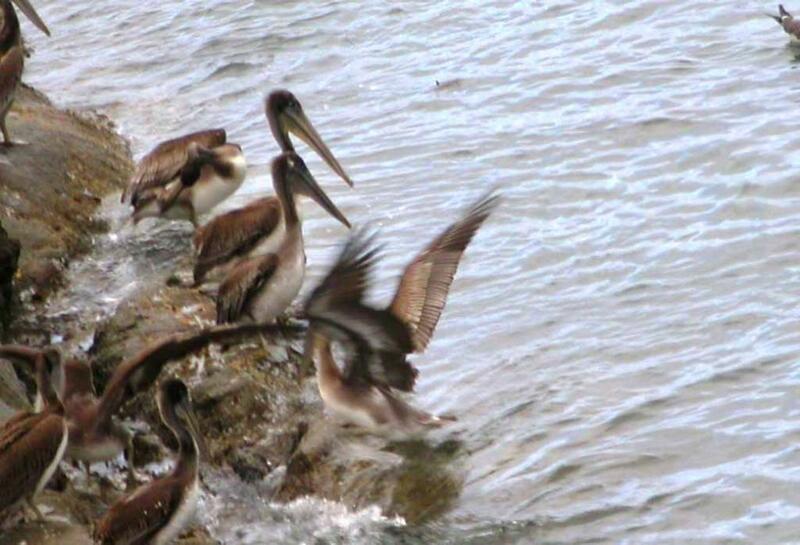 Wildlife Refuge. 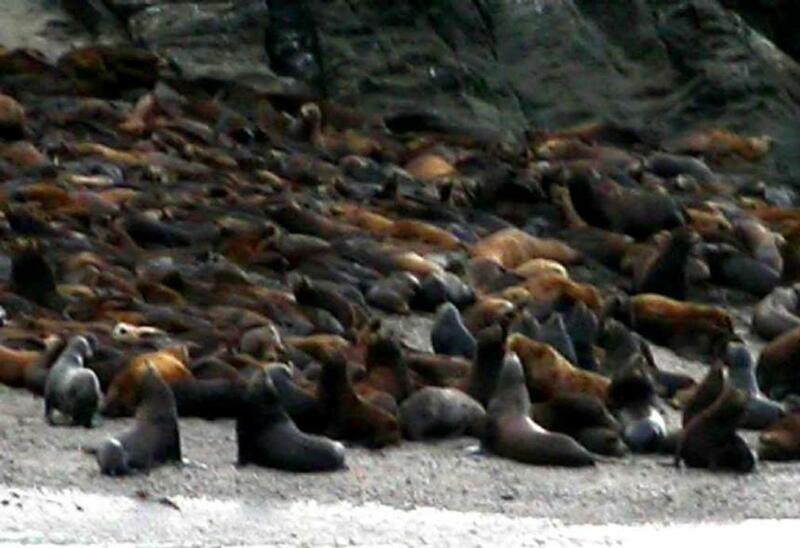 Visitors can hear the loud barking of sea lions miles away from the Simpson Reef Overlook. 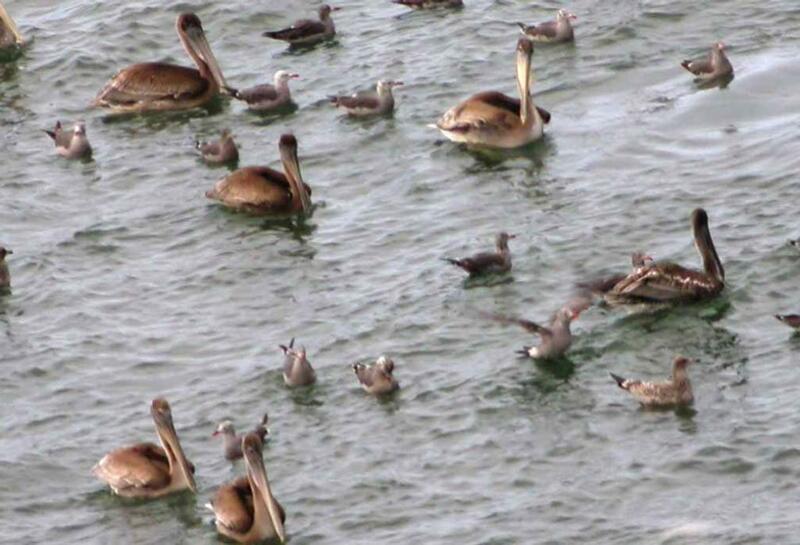 Sometimes visitors may also see gray whales migrating through this area. 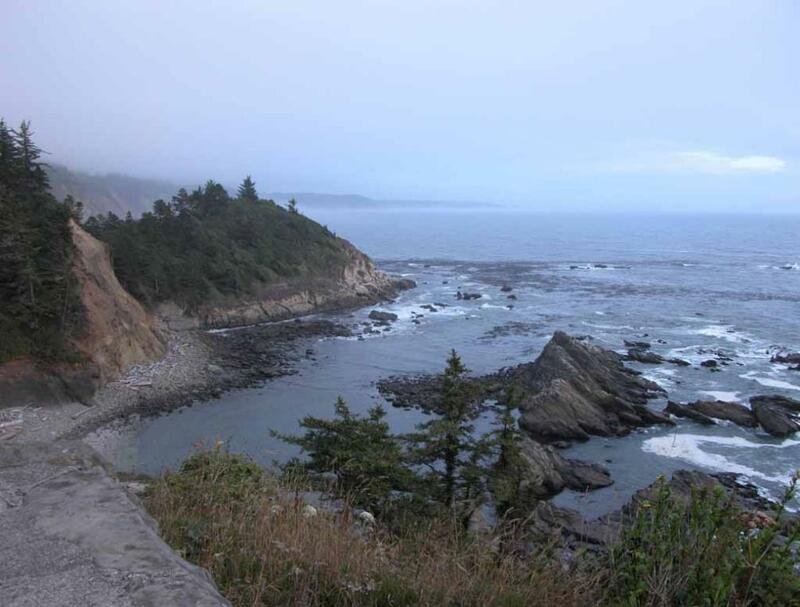 and Cape Arago State Park. Rocky shore of Cape Arago State Park. along this rocky coastal areas between Shore Acres State Park and Cape Arago State Park in Oregon. 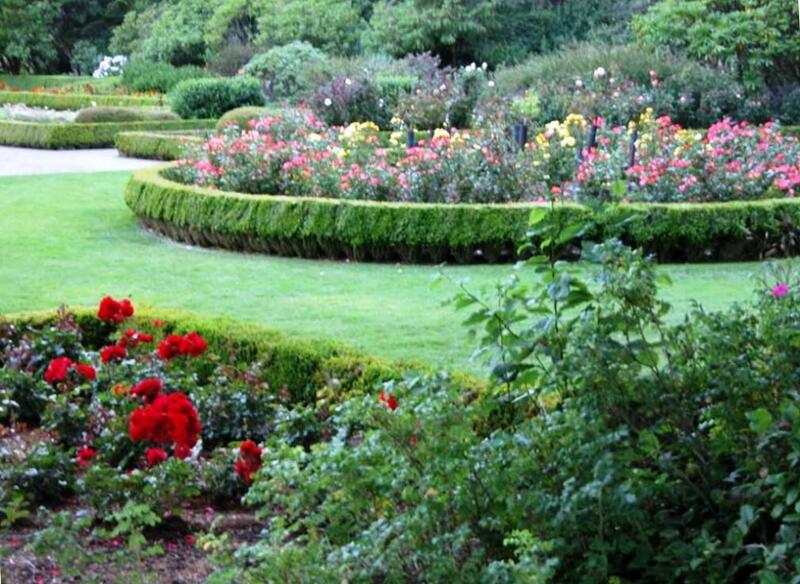 Louis Simpson, Shore Acres features lushly planted gardens with plants and flowers from all over the world. Something is in bloom almost every day of the year. It has an oriental-style pond and two rose gardens. has interpretive panels describing the history of the Simpson estate. 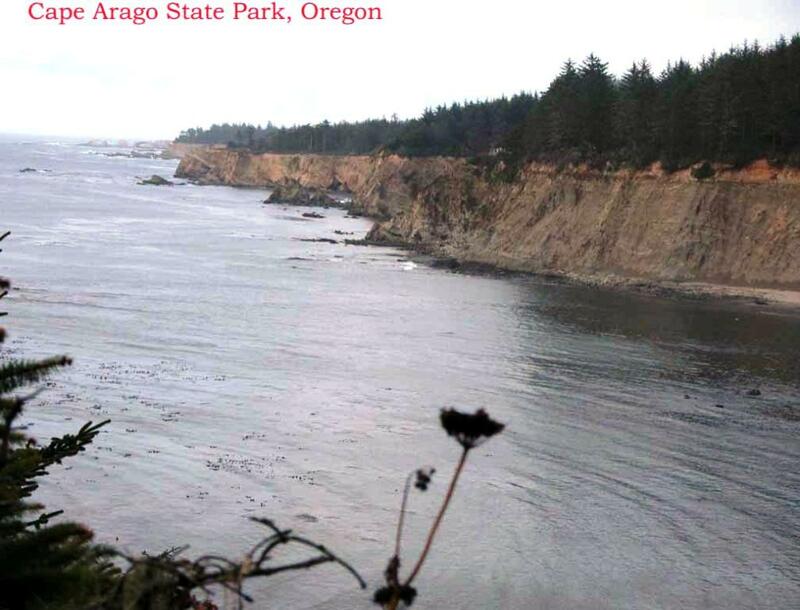 Shore Acres State Park is along Cape Arago Hwy in Coos Bay, Oregon. Cape Arago State Park is at the end of Cape Arago Hwy in Coos Bay in Oregon. 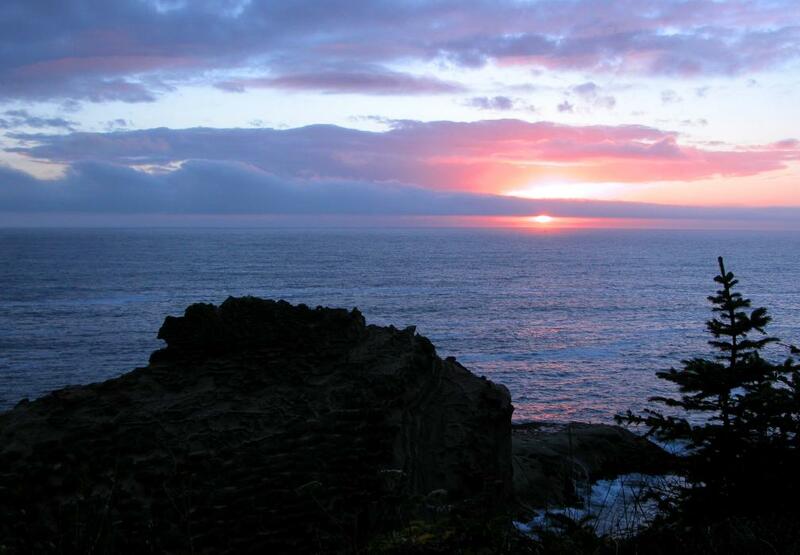 Beautiful sunset view over Pacific Ocean at Cape Arago State Park. 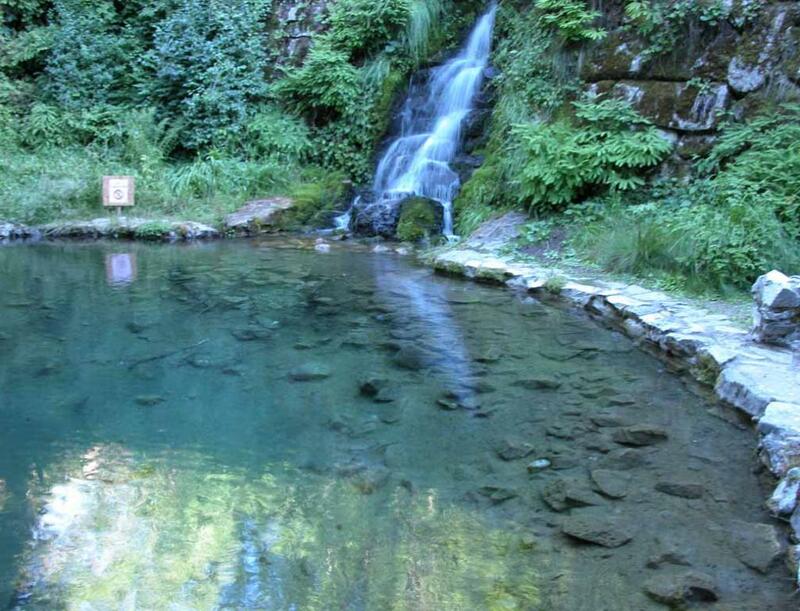 4303 Sardine Creek Left Fork Rd, Gold Hill, in southern Oregon. afternoon of August 7, 2004. 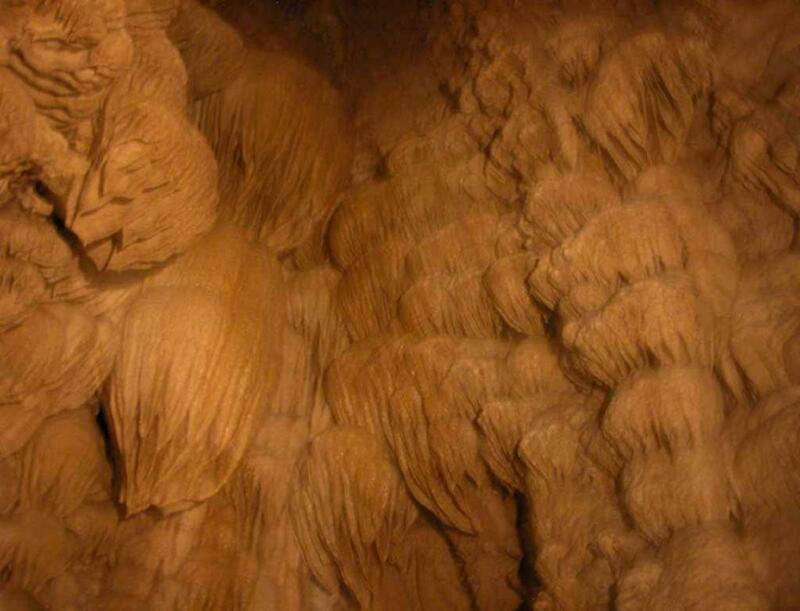 Stalactites and stalagmites in Miller's Chapel in Oregon Caves National Monument. 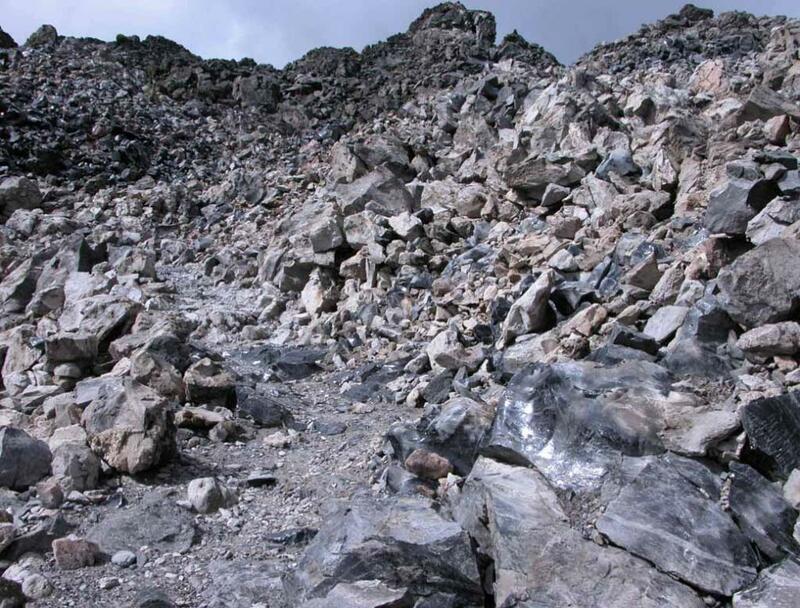 are needed to negotiate slippery and uneven surfaces. 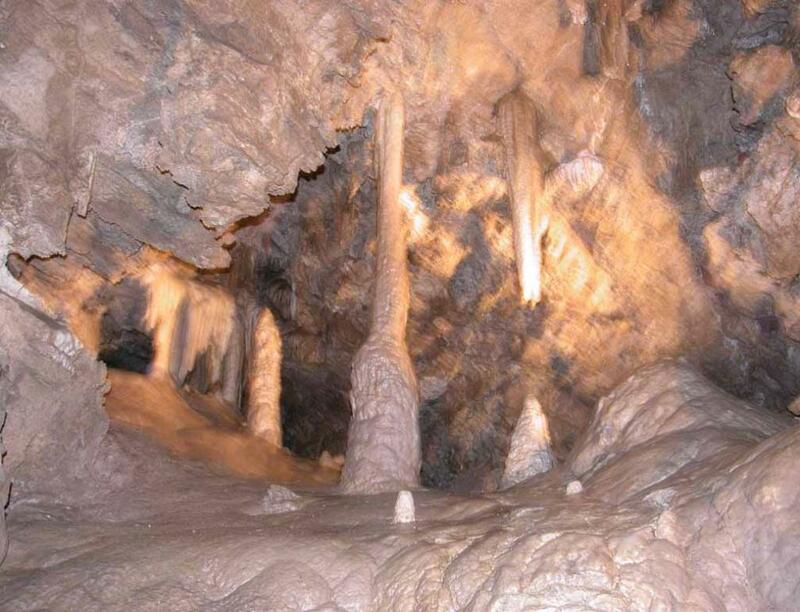 not allowed on the full cave tour. 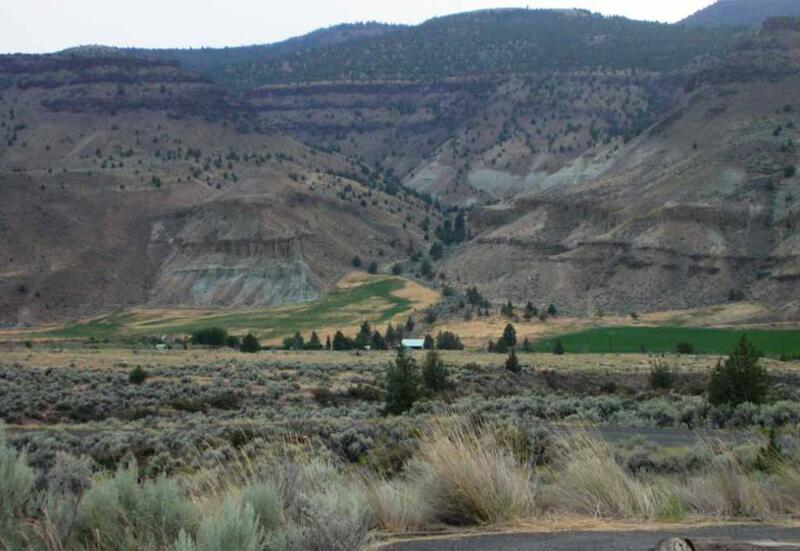 This completes the Part 3 of our Tour in Southern Oregon. be presented in the near future. 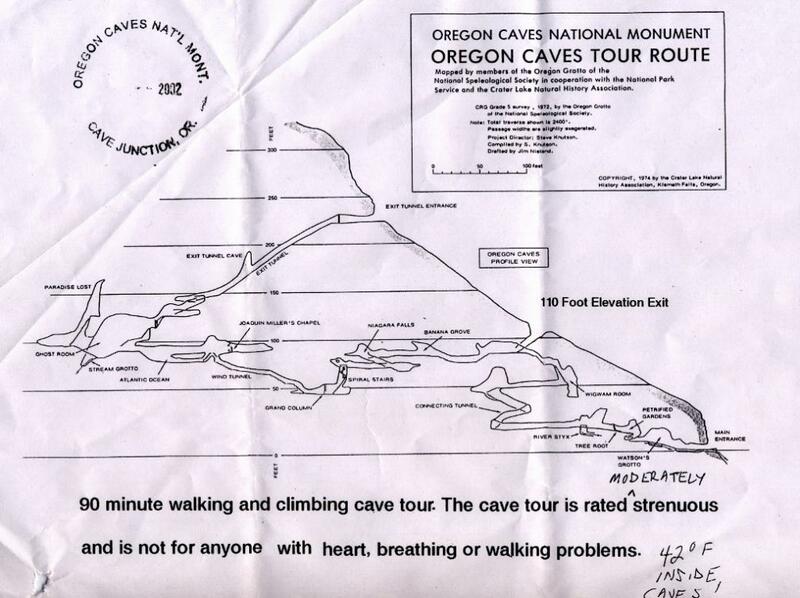 guided tour of the Oregon Cave. 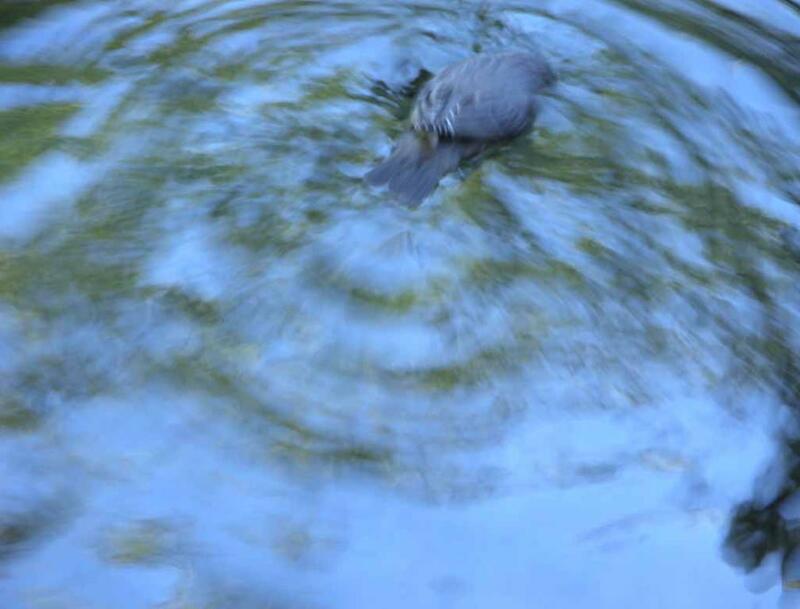 water, we could see the American dipper dived all the way down to the bottom of the pond to look for foods. 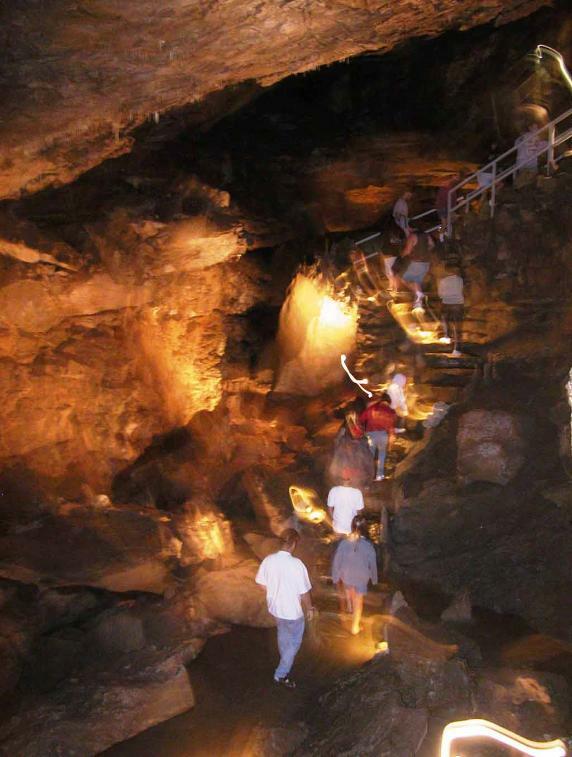 the guided cave tour to start. 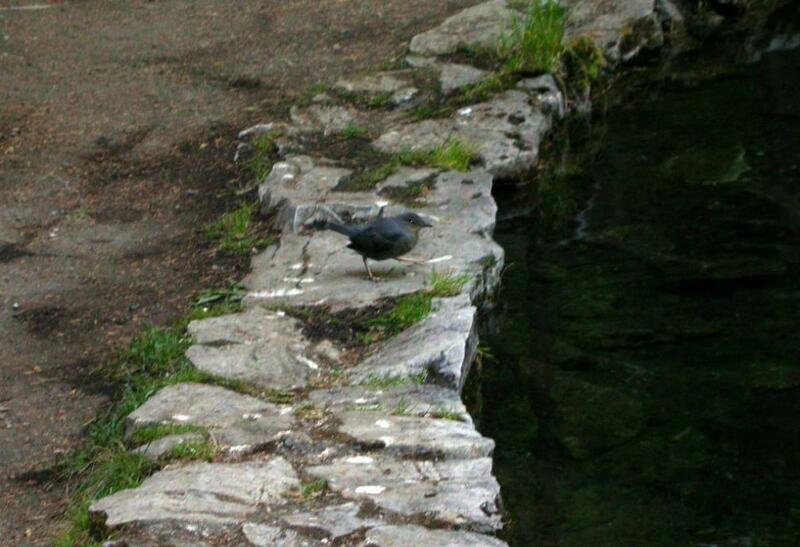 The American dipper jumping into the pond.